Question (R3 QL7): How does Da’esh’s transition to insurgency manifest itself in Syria; which other jihadist groups might offer the potential for merger and which areas of ungoverned space are most likely to offer conditions conducive for Da’esh to maintain some form of organizational structure and military effectiveness? Author | Editor: Pagano, S. (NSI, Inc). The contributors varied in their discussions of what a Da’esh transition—or the future of Syria more broadly—would look like. Drawing on work by Gelvin, Pagano suggests that three scenarios are most likely for Da’esh’s transition in Syria. 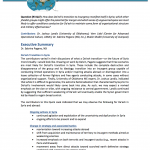 These include the complete destruction and disappearance of the group and its ideology; transition into an insurgent group capable of conducting limited operations in Syria and/or inspiring attacks abroad; or disintegration into a loose collection of former fighters and free agents conducting attacks, in some cases without organizational support. Finally, University of Oklahoma ME expert, Dr. Joshua Landis, indicated that while it is difficult to generalize, the extreme factionalization that characterized Syria prior to Da’esh’s involvement would likely come back into play. As such, we may expect a revived emphasis on the clan or tribe, with ongoing resistance to central government. Landis continued by suggesting that sufficient weakening of Da’esh will eventually enable the Syrian government led by Assad to regain broad control. Views among the contributors on the groups with whom Da’esh might align demonstrated some degree of consensus. Both Shaikh and Pagano indicated that a merger or strong alliance between Da’esh and other groups would be highly unlikely. This was due in part to Da’esh’s history of denouncing others as apostates when they failed to conform to its strict rules and interpretations of Islam. 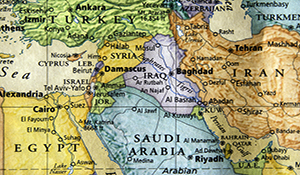 Da’esh’s rigid approach has resulted in eventual isolation and the creation of enemies among groups with which it might under different circumstances have allied. Shaikh also emphasized the breadth of the ideological divide between Da’esh and other groups, which would in turn make it difficult for Da’esh to justify any future cooperation with so-called deviant groups. While Pagano cites possible points of Da’esh ideological convergence with either Jabhat Fateh al Sham or the quietest Salafists, the likelihood of collaboration between these groups remains very low. These points of convergence would be dependent on a shift in Da’esh’s goals and subsequent motives as it is faced with the fall of the caliphate, which might make previously unlikely alliances necessary for the sake of survival and future goal pursuit. Liebl put forth the view that ‘ungoverned space’ does not truly exist given that formal or informal political institutions will always exist where there are people. Shaikh however focused on likely future contests for “ungoverned” spaces in Syria, suggesting that that the primary competition would be between Da’esh and Al Qaeda given their rivalry and different organizational purpose and approaches. Landis briefly addressed the topic by suggesting that the proportion of ungoverned space in Syria will decrease as Da’esh is weakened, and the Syrian regime retakes the west and parts of eastern Syria. Pagano emphasizes areas of strategic or symbolic importance to Da’esh and the existing or potential loss of these resources. She reviews the status of northern Aleppo province, Raqqa, and Deir el-Zour, as well as the recent retaking of Palmyra, and concludes by briefly listing the conditions under which these spaces would provide the greatest utility or opportunity to Da’esh.